New year, new phone case. I've been dying to showcase this little baby for some time, but with Christmas getting in the way I haven't had chance. So here it is my new personalised phone case* from Mr Nutcase. I've seen phone cases much like this one floating around the blogasphere, so when I was asked if I'd like to review one, I of course said yes. I think these are the perfect personalised gift and as I got to choose the photos on the case, it makes it even more special. 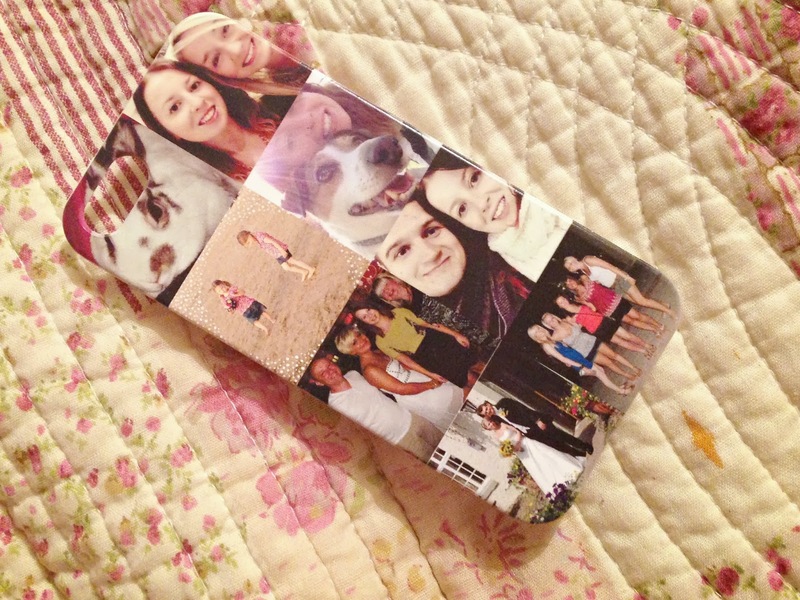 I've managed to squeeze a lot of different people in my life onto a tiny phone case, but I love it. When I was designing the case, I was able to choose how many photos I wanted on, I think this is the perfect amount for me, although if you have a huge family you can always add more. The best thing about it, is it's unique to me. No one else is going to have this phone case, which makes it even more special. I uploaded all of the photos straight from Facebook, which made life a lot easier. I was worried the quality wouldn't be great with them coming straight off the internet, but it's fab. If you want to take a look at the personalised cases, you can play around with your photos here. I'd love it if you'd vote for me in the UK blog awards! Such a lovely way to personalise your phone! How much do they cost? I love the idea but normally these cases are quite expensive. aww thats such a lovely idea! That is such a cute idea and would make a great gift! Been dying to create one of these! Fabulous idea. Just stumbled across your blog and will be keeping my eyes peeled for upcoming posts! This posts has seriously saved me. I was looking for a present that I could get a friend for her birthday and this is perfect, thank you!